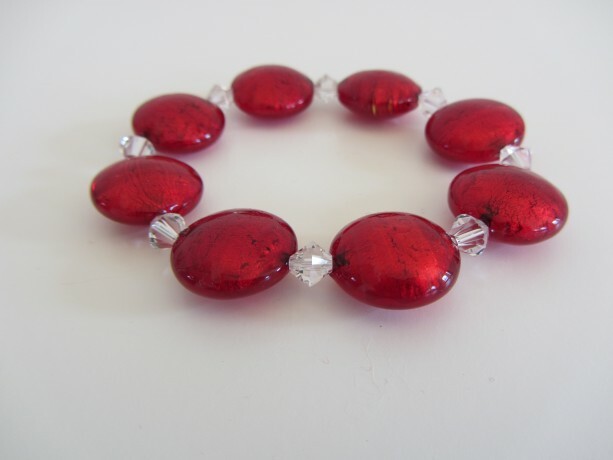 A 7.5" bracelet with 18mm red genuine Murano disks with genuine Swarovski clear bicone crystals on stretchy string. This beautiful bracelet is perfect all year round...but extra special for the winter holiday season! The crystal beads truly add a sparkle to the gorgeous Murano disks! A must have! !